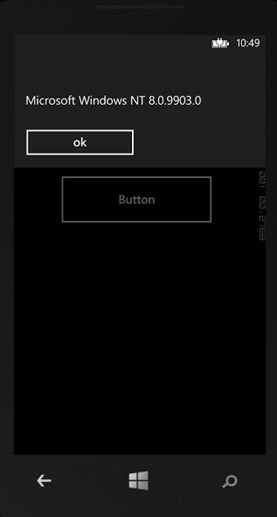 Oxygene and WP8 – How to detect the Windows Phone OS Version using Oxygene? How to Terminate the WP8 Application Programmatically using C#? How to detect the Windows Phone OS Version using Oxygene? The Environment.OSVersion property returns a string that contains the version of the operating system. Below is a sample method in Oxygene which displays the Windows Phone OS version.